The government must urgently re-examine its policy for supporting established renewables if it is to meet climate objectives, research and analysis firm Cornwall Insight has said. The letter, drafted by Cornwall Insight chief executive Gareth Miller and supported by 10 organisations from across the renewables sector, welcomes the progression of a third CfD allocation round, but stresses that meeting binding climate targets stands to become more challenging against changing macro political and economic issues. These factors have resulted in the letter’ co-signees to call on energy and clean growth minister Claire Perry to urgent re-examine her department’s policy for established renewables and, crucially, to consider allowing so-called Pot One technologies to compete once again, albeit through a revised CfD floor structure. Miller argues that while long-term wholesale power revenues over an assets life time could deliver a positive return, project finance would still require a degree of insulation against short-term swings in the wholesale power price to appease investors who are risk averse. The letter goes on to state that appetite for wholesale power price risk has decreased if anything, with wholesale markets becoming ever more volatile. Market volatility, particularly in the UK, has been cited among the causes of energy suppliers going bust over the past year. This lack of appetite for wholesale price risk, coupled with the lack of revenue stabilising mechanisms on offer for mature renewable generators, acts to “significantly reduce” the bankability of grid-scale onshore wind and solar PV assets, making it “inconceivable that our power sector decarbonisation objectives can be achieved”. But Cornwall Insight’s recommendation of a CfD floor structure would acts as a “way through the impasse”, he says. Cornwall Insight’s proposals for a CfD Floor would work along a simple premise that established technologies receive protection against wholesale volatility. A guaranteed floor price would be set in £/MWh, meaning that if the wholesale price dipped below the floor projects would receive a top-up payment to protect them. However in the reverse, generators would only realise the benefits of any upside in power prices above the floor price after top-up payments had been fully repaid. Timelines suggested by Cornwall place settlement against the floor price to be based every six months, meaning that there would be 30 separate reconciliation periods over a 15-year CfD Floor contract. Actual metered volumes would be used to determine precise payments. While Cornwall stresses that further evidence-based modelling would be required to verify actual price expectations, discussions with project developers have suggested considerable savings on strike prices could be achieved. Onshore wind could achieved CfD floor prices in the region of £30-35/MWh in 2011/12 values. Furthermore, there would be next to no risk of long-term sunk subsidy costs and their associated impact on consumer bills. 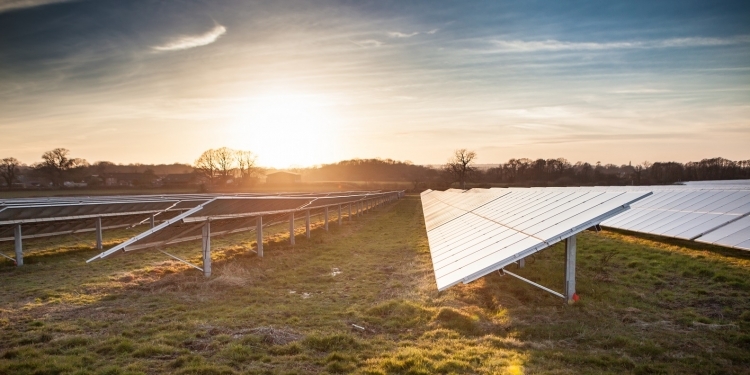 Cornwall Insight’s proposed CfD floor was also put forward as a potential boon for utility-scale solar deployment by the Solar Trade Association late last year, after the trade body pointed to internal research that suggested solar could be as cheap as £40/MWh by 2030. Miller said it was imperative that an “adequate new entry and repowering investment signal” is sent to established renewable technologies, one which would allow the government to “bridge the gap” between policy ambitions and what’s being asked of the market itself. “The support for our proposal from a wide range of leading companies in the renewable energy sector demonstrates the real concern with the policy status quo, but also the creative mindset of a sector always searching for solutions to meet legitimate policy challenges,” he said. Subsidy-free or market stabilising CfDs have previously been mentioned by Perry’s predecessors, but there has been no further policy movement and the government’s more recent messaging on CfDs has focused on no decisions having been reached on future rounds.